Pammy Blogs Beauty: February Beauty Gift Basket Giveaway at Free Beauty Events! February Beauty Gift Basket Giveaway at Free Beauty Events! Can you believe it is already Feb? Time for the monthly Free Beauty Events beauty basket giveaway announcement! The Feb Beauty Basket Giveaway is now live at Free Beauty Events! 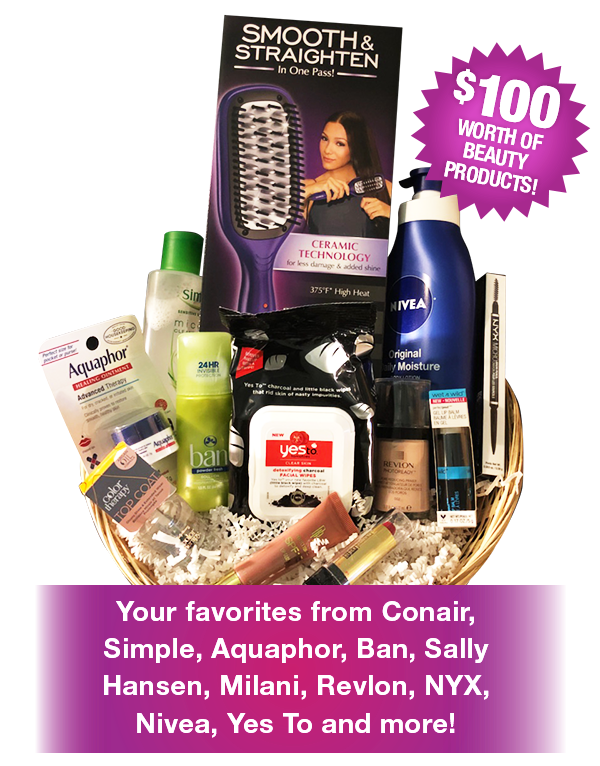 This month the basket includes products from Conair, Simple, Aquaphor, Ban, Sally Hansen, Milani, Revlon, NYX and more! The Contest runs from now through 2/28/18, winners will be chosen on 3/10/2018 and notified by 3/15/2018. Free Beauty Events wants to encourage readers to go to the Free Beauty Events Facebook page and like it, then enter to win on their website.